In our review we jokingly referred to Belgrove Distillery’s Peter Bignell as the da Vinci of distilling. When we visited him, we discovered that we were actually bang on the mark. 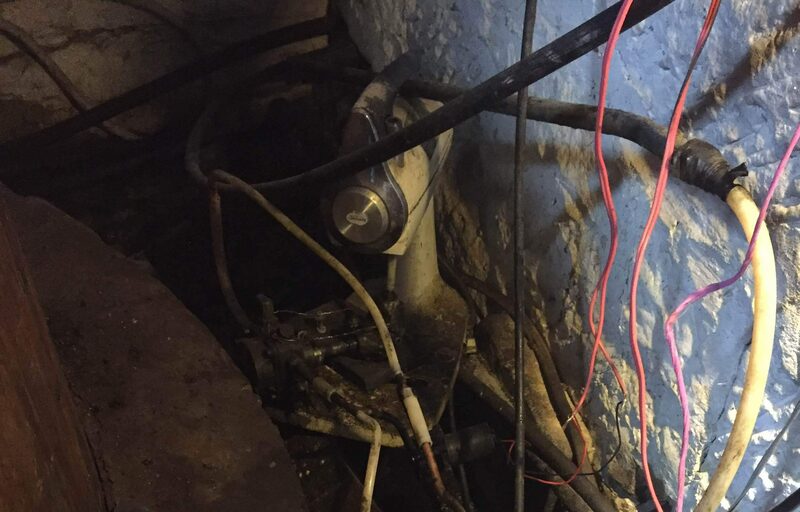 Case in point was his method for powering the pump that injected homemade biofuel into the burner for the still: an old Sunbeam Mixmaster (usually on ‘Whipped Cream’ setting!). Apparently meringue-setting heated the still too much! Our arrival at the distillery was actually rather hampered by some pesky road workers, who decided to dig up the highway in front of Peter’s driveway half an hour before we arrived. We had to call over a massive grader to flatten the surface enough to get the Alfa over (the troubles with low sports cars). Belgrove distillery takes its name from the property, which is also a working farm. This was apparent as soon as we opened the gate and spied a flock of freshly shorn sheep, which we later discovered Peter had taught to eat leftover rye mash. Scattered around the old stables building that houses the distillery were various contraptions cannibalised from old washing machines, scrap metal and Russian Typhoon-class nuclear submarines. The distillery, located just outside the southern midlands town of Kempton, is unique in Tasmania in that it predominantly produces its spirit using rye instead of barley. 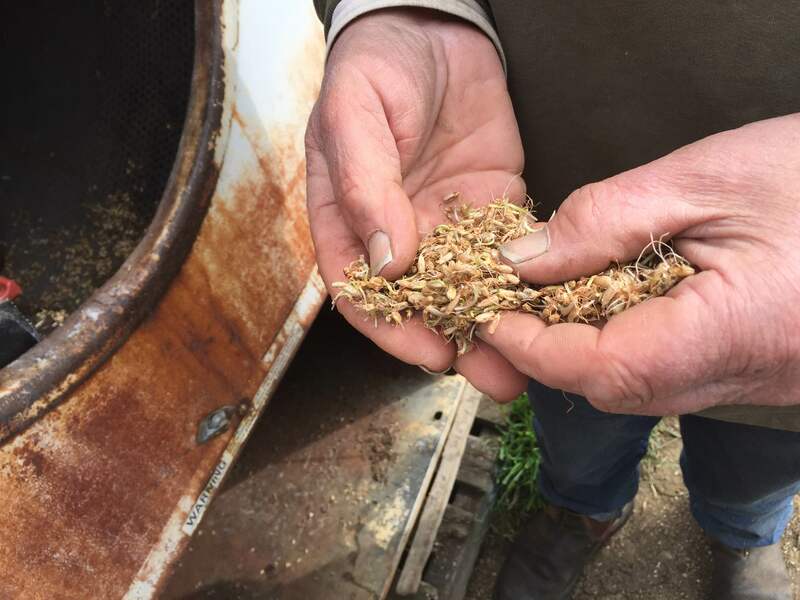 The story goes that Peter had a spare paddock full of rye that needed using and so decided to turn it into whisky. Rather than buy expensive new equipment, and prescribing to a reuse and recycle ethos, he instead decided to build everything himself. Including this glorious piece of copper! 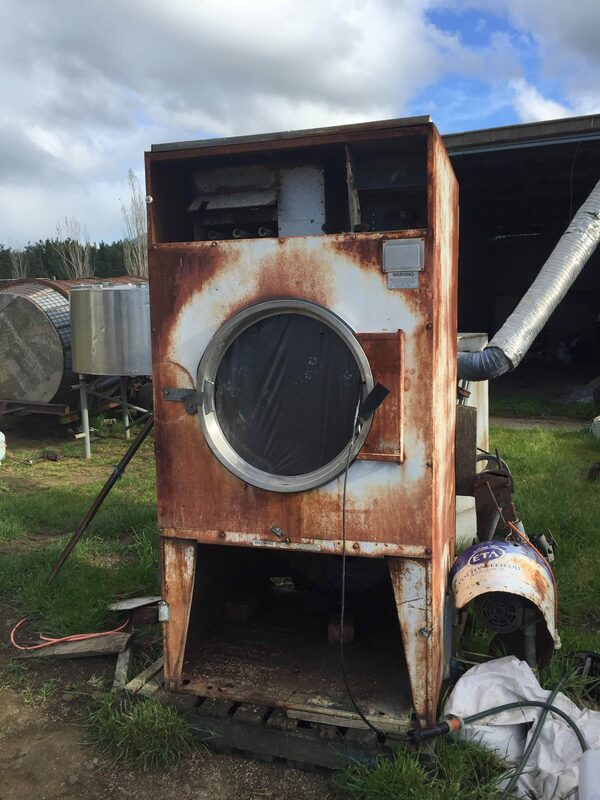 We need to stress that home-made doesn’t mean rubbish; the malter/peat smoker crafted out of an old tumble dryer is a work of genius, and the mash tun is perfectly functional – until it gets clogged up by the huskless rye that is. Peter quipped that when this happens he has to put the old wooden paddle appropriated from his kids’ dinghy to work to unclog it (he’s changed both the handle and the blade three times apiece, but maintains it’s still the same paddle). 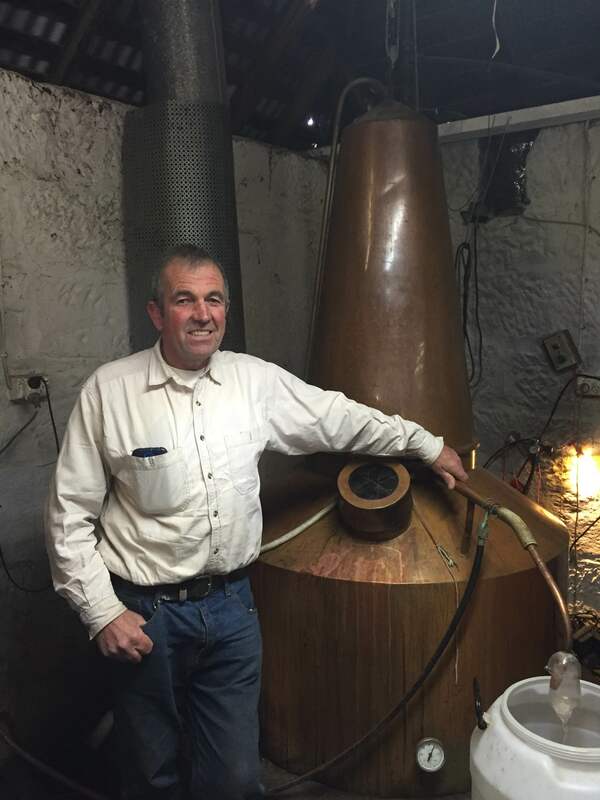 Peter has been a farmer his whole life, only turning to distilling seven years ago. He said that his university degree in agricultural science has been invaluable, allowing him to exploit the science behind the art, although he doesn’t downplay the role of the natural yeasts and bacteria that inoculate the mash, which he refers to as Belgrove’s unique terroir. 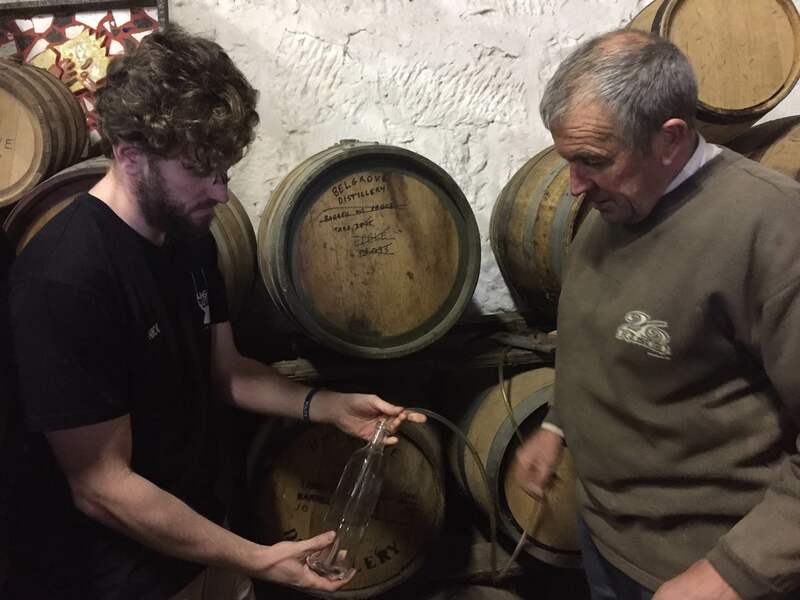 Peter is completely hands on with the whole process, from growing the grain, to the distilling, the bottling and especially the tasting. Luckily enough we were able to join him in tasting a variety of interesting spirits, including rye, barley, apple hatchet (distilled apple cider), ginger hammer (distilled ginger beer) and even an experimental batch of eau de vie that Peter was trialling for Tasmanian Cask Company’s master cooper Adam Bone, who dropped by to check on proceedings. The range was varied, exciting and specific to Belgrove, and it was inspiring to be able to taste such contrasting flavours produced in the one place. We did however have our favourites; the rye at 47%, Pommeau (apple hatchet cut back with apple juice) and especially the Pinot Noir matured rye at cask strength, of which we took home bottles #1 and #2 of a new barrel. However, revelation of the day was the 100% malted barley smoked with peat from the previously untapped bogs in the north-east of the state. Good people of the world, are you ready for Tasmania’s answer to Scotland’s Islay? Well, it’s maturing in Peter Bignell’s bond store at this very moment. Nick filling bottle number one! 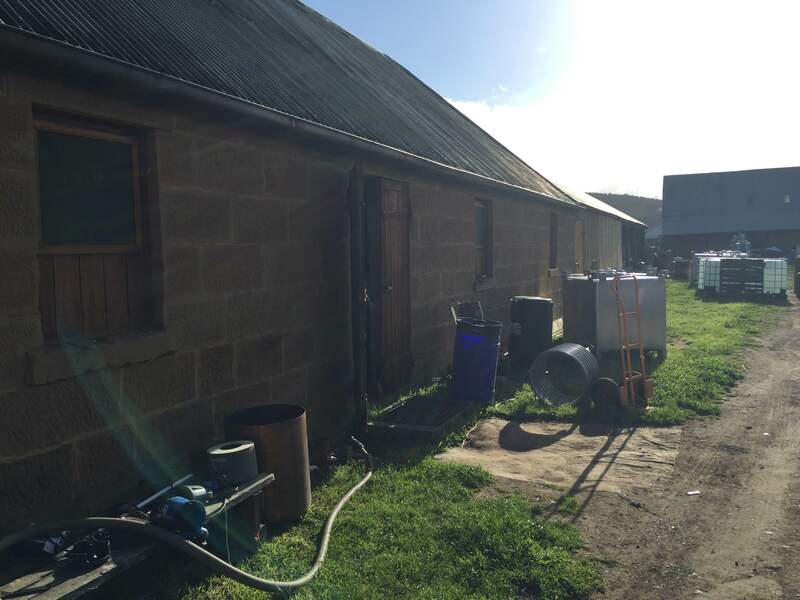 While Peter is expanding the old stables to house a new still and larger malting equipment, he still resolves to remain stubbornly small scale, championing the merits of a hands-on approach. He muses that “big distilleries only care about how much whisky per kilo of grain they can get. I’m trying to get the most flavour.” From our all too brief visit, it is clear that he is succeeding in that vision. Tasmania is home to many distilleries, big and little, but perhaps none is more eclectic and fascinating to explore than Belgrove. Don’t worry, Ted. Someone has to have bottle number two! There are some interesting experimental drams in the market, often tucked behind the more famous and mainstream variant at a bar, or in old dusty collections held by people who bought a one off bottling at a garage sale. New World Distillery on the other hand is not tucking their experiments behind anything, and the operation is far from dusty being more akin to a well-resourced military installation. Housed in a disused aeroplane hangar is the cross between Willy Wonka’s factory and Area 51, although the focus is on whisky and not chocolate or alien secrets. Being founded on the principle of showing the world what whisky can be, with a “sky’s the limit” attitude, it is no surprise that the team that brought us Starward would release something that stretches the concept of whisky to new heights. On the nose, you’d be hard pressed to pick it as a whisky. But the same can be said for other expressions from many different distilleries that have played with different casks. It you’ve only ever drunk a bourbon cask Highland whisky, then putting the nose into a PX finished Islay might create the same level of confrontation and confusion when told that not only is it whisky but it is as single malt as the next dram. 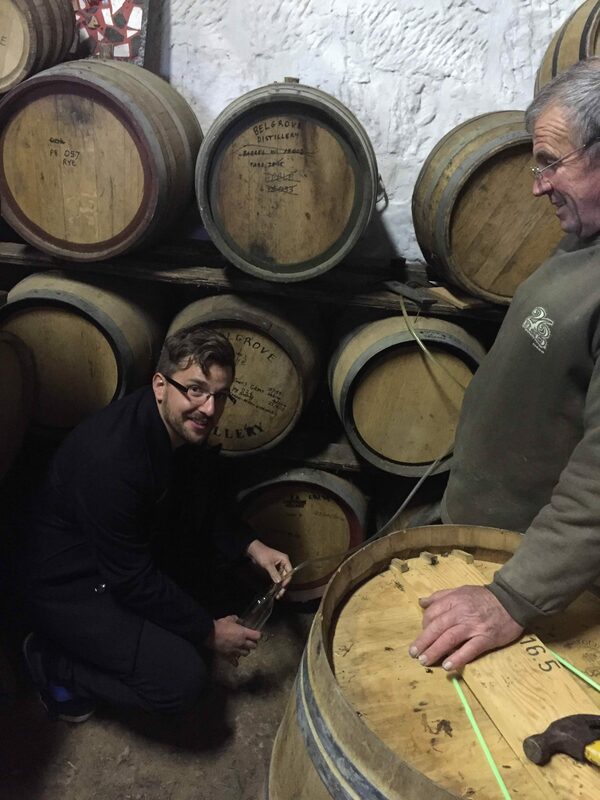 The information that can be beaten out of the loyal distillery workers reveals that it is a virgin cask that has been stained with fermented ginger beer that has its own secret recipe. Starward whisky is then aged for three months on top of its normal maturation to soak up the gingery goodness. Ginger is really the buzz word here. So much ginger. It smells like ginger and when you stare at in your half empty glass it even starts to look like ginger. That might be the half empty element assisting with that. The classic tropical fruit that is a signature of the Starward is still present, however. Nice aromas of pineapple, banana and mango. A good amount of citrus that mixes will with the ginger smell to give it a spicy aroma. It also smells like ginger. Once tasted it will continue to confuse and delight. The mouthfeel is particularly good and I’m sure the 47.7% alcohol by volume was very carefully chosen with the texture in mind. On the palate, you guessed it: cloves. Also ginger. There is a good combination of spice and fruit to create the feel of a cocktail and it may yet be a mixologist’s inspiration. It is naturally sweet with some light vanilla and the prickle from the spiciness brings that out even more, in the way that sweet and sour emphasise both rather than diminish either. The finish is nice and long, due to the intensity of a dominant flavour and also the not-insubstantial alcohol content. It is probably plagiarism to sum up this whisky as weird and wonderful, as I am sure that many reviews would use the same phrase. 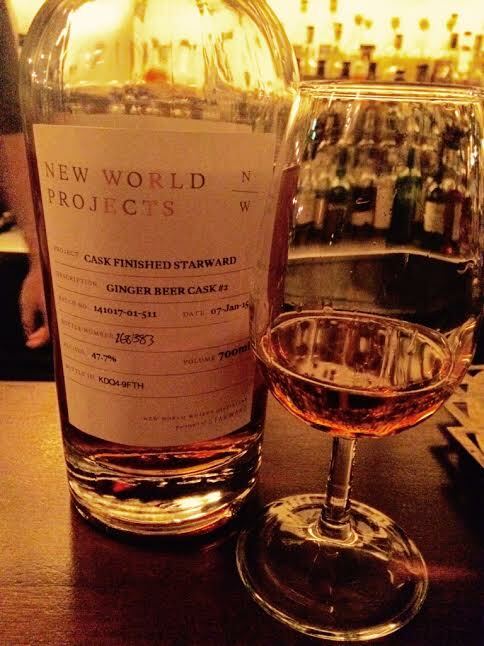 It is something that I would look out for tucked away at a bar or nestled in among the fur stoles and incomplete jigsaws at a markets, but given that this modern and funky take on whisky is in such high demand – evidenced by the fact that this is the second batch – it is probably unlikely to be there. Better to head out to New World Distillery, bonk a cooper on the bonce, and run off with your own bottle. P.S. Neither Mooresy nor the Whisky Waffle boys advocate violence towards people in the whisky industry. We love those guys. For obvious reasons. More Japanese whisky? Bring it on! For your delectation (or mine rather, seeing as I’m the one drinking it. 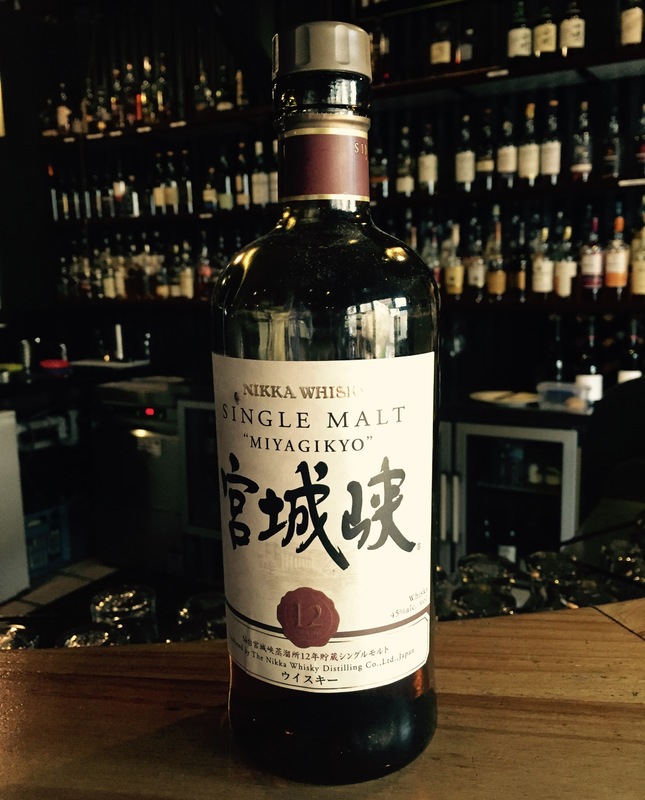 Go find your own) we have another drop from Nikka, one of the two big players in the Japanese whisky market. Because Japan is a collection of islands, Nikka and its rival Suntory each own a bunch of distilleries scattered around the archipelago, with each providing its own special character and techniques. Miyagikyo distillery is based in Sendai on Honshu, the largest of the islands. The distillery was founded by the legendary Japanese whisky maker Masataka Taketsuru. Quite unusually, Miyagikyo apparently makes both single malts and grain whiskies at their site. The peculiarities don’t stop there. According to Nikka, Miyagikyo uses steam heat distillation to create their product, a process where steam is introduced into the distillation apparatus to carry the volatised compounds into the condensation flask. Whether this changes the flavour in any significant way I will leave up to you. On the nose the Miyagikyo has that hot and sour Japanese vibe, like honey and lemon tea with a hint of ginger. As it first enters your mouth the spirit is silky smooth, quickly turning dry and dustily spicy. Pepper, caramel, metal, sour plum (which seems to be a common factor in Japanese drams) and lemon drops crawl fuzzily across the tongue. Tartness and sweetness make well balanced bed-fellows. The Miyagikyo is a very laid back Japanese drop. Probably something best drunk while contemplating the universe in a garden of falling cherry blossom.